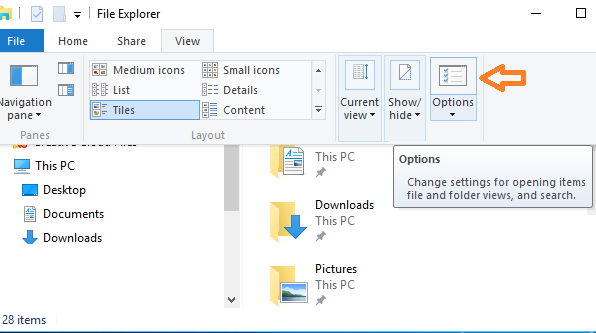 In Windows File Explorer, go to View menu and click "Options" to open "Folder Options" dialog. 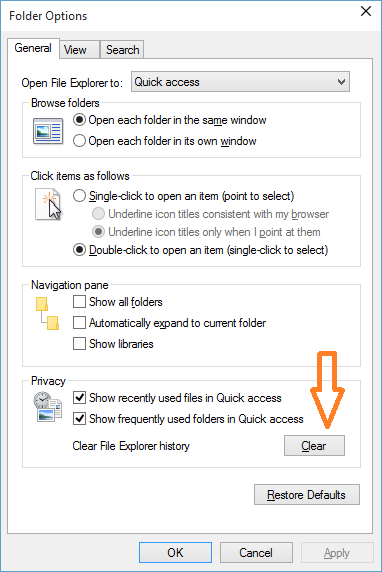 In "Folder Options" dialog, under Privacy section, click on "Clear" button next to "Clear File Explorer history". 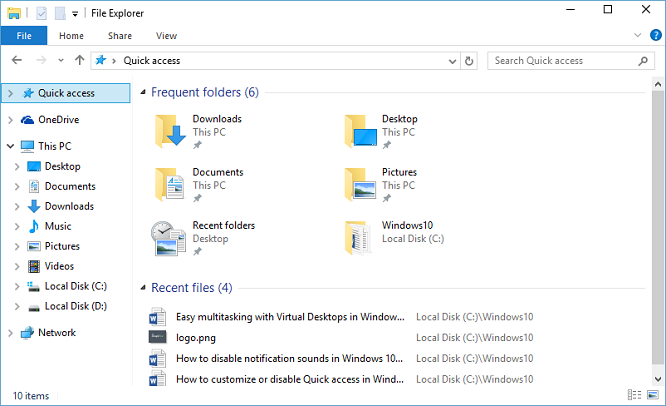 This will clear your current frequent folders and recent files history from Quick access. Refer How to customize or disable Quick access in Windows 10 for detailed Quick access customization options.